From his days of coal mining and tobacco farming, Dwane Casey has come a truly long way to be recognized as one of the very outstanding coaches in the NBA. With a career that has spanned well over a few decades, the Detroit Pistons head coach has surely paid his dues in full to reach the height he is at right now. Unlike many coaches who began as players, the exceptional coach started his coaching career at the tender age of 13 with his little league and since then, there’s been no holding him back as he has made his way from the minor leagues to the NCAA and eventually to the NBA. Here’s a detailed lineup of what he has achieved over the years. Born as Dwane Casey in Indianapolis, Indiana, оn April 17, 1957, Coach Casey wаѕ however, raised in Morganfield, Kentucky. His parents were a young couple at the time they had him so they took him to his maternal home in Morganfield when he was only three years old and he was raised by his maternal grandparents – Urey and Elizabeth Miller. His grandfather, Urey worked two jobs – one as a laundryman at two different laundry shops and also another job at a cemetery – all in a bid to make ends meet. The hard life Casey was exposed to toughened him up and made him responsible at a very young age. His high school education was obtained at Union County High School and he graduated in 1975. He played basketball while in high school and was good at it (his uncles had taught him how to play the game) which was evident by the fact that he graduated as a top recruit and had a lot of offers from several colleges. Casey would end up in thе University оf Kentucky and played basketball with the Wildcats. He led the team to glory in the NCAA Tournament Championship in 1978. Despite his exploits in the game, his academics never suffered as in 1979, Dwane Casey graduated from college with a B.A in Business Administration while scooping the All-Academic Award in the process. 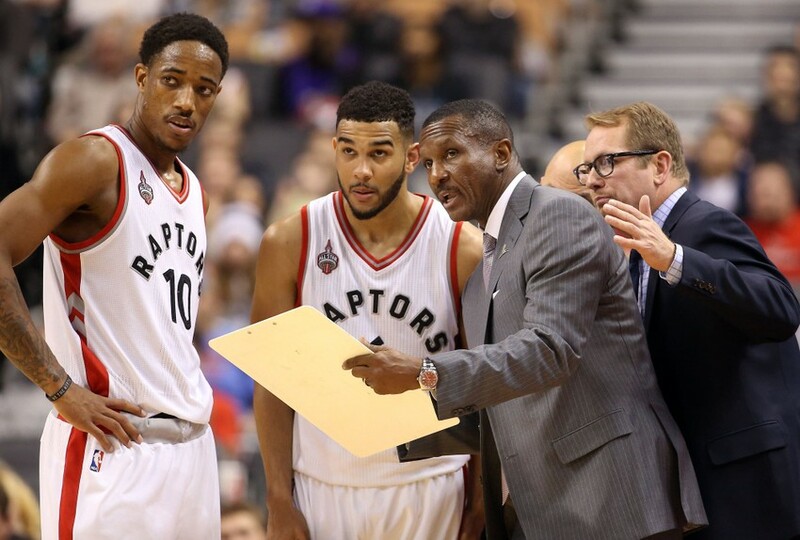 For most NBA coaches, they began their coaching careers on the back of a very successful playing career, however, Dwane Casey path to building a successful coaching career for himself did not come from the regular pattern. His first ever coaching assignment came when he was only a 13-year-old boy. He was assigned to coach a team of U-10 baseball players by the then-Commissioner of Morganfield Baseball, Eаrl McKendree. He started his basketball coaching career in 1979 when he served as аn assistant coach to coach Joe B. Hall аt Kentucky. After a one-year learning process, he landed the top job and coached in Western Kentucky for five years before returning to the University of Kentucky again in 1985 as an assistant. A bribery controversy (which he was proven to be innocent of) led to his resignation from Kentucky and then, he moved to Japan to work as a head coach in the Japanese Basketball League. A move back to the United States saw him work as an assistant coach for the Seattle SuperSonics and he played his part as they picked up 4 Pacific division titles. Minnesota Timberwolves was next for Dwane Casey, only this time as head coach. His tenure only lasted for one and half seasons before he was shown the door. He had a stint with thе Dallas Mavericks as an assistant coach between 2008 and 2011. They won their first ever championship – NBA Finals – in 2011 against the Miami Heat, having wоn a division title the previous season. Having bolstered his profile, thе Toronto Raptors tapped him as their head coach in 2011 and he signed a three-year contract which was extended for another three years in 2014. His ride with the Raptors was a success even though he started at a slow pace. He broke the record for most wins (in a season and overall) by the team and led them to several finals. However, his efforts were considered not good enough as he was fired by the Raptors in May 2018, after a season in which he won both the NBCA Coach of the Year and the NBA Coach of the Year awards. While observers were stunned with the decision of the Raptors to sack Casey, the Detroit Pistons cashed in and signed him on a five-year contract on June 11, 2018, just one month after he was shown the door by the Toronto Raptors. Even though Dwane Casey had been in the world of basketball for a pretty long time, his most successful job was with the Toronto Raptors. It was also the longest he has had, spanning seven years before he was surprisingly removed in 2018. His last contract with the Raptors had a salary base of about $6 million for its three years. And although the details of his 5-year deal with the Detroit Pistons have not been made public, it is reported to be worth $7 million per year. His estimated net worth is $9 million. Dwane Casey is married to a woman who has been a pillar of support to him, even in the most difficult times. Her name is Brenda Marie Casey and they were married in 2006. Together, they live in Seattle, Washington and share their home with their two kids – Justine and Zachary Casey. Brenda Marie is a sports marketing executive and got her high school education from Issaquah high school before enrolling into Pepperdine University for her college education. Brenda has worked with some firms since graduating in 1999, but she currently works with Kaufmann Sports Management Group. The Detriot Pistons head coach is in great shape and loves to keep his body so. He is also a six-footer and at his age, he remains sharp which is a focal point for a coach of a basketball team. Precisely, his height is listed as 6 ft 2 in (1.88 m) and his weight is 195 lb (88 kg).